I grew up in my fathers dealer ship. He was a dealer for Allis Chalmers, Case, Ferguson, New Idea, New Holland, Ontario Grain Drills, Dunham Discs and Dodge Cars and Trucks are the ones I remember. 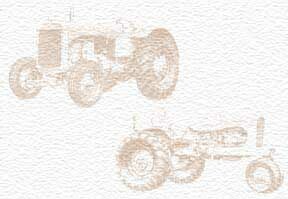 The first motor vehicle I remember driving, as a 9 or 10 year was in 1948 was a New model G Allis Chalmers. We were un loading a rail car full of them. I new live in Fl. My goal is to get out of this condo, get a piece of ground for a garden and a Model G.